“Full credit to Adam and Ryan – they have created a truly world class show and over the next couple of years with their Oceania FIM rights they have great opportunity to grow this in Asia and the Middle East as well as the expansion into New Zealand, and I know just how much Kiwi’s love their motorsport! I am very proud to help them grow foreign markets, in this exciting sport franchise.” Cochrane said. “Anyone that hasn’t witnessed Supercross absolutely has to see it to believe it. Whether you are a motorsport fan or just a fan of good entertainment; you will love this. It is motorsport’s answer to 20-20 cricket. The action is non-stop, explosive and absolutely amazing to watch. Better yet you can see everything from the comfort of your seat, anywhere in the stadium. I’m certain fans in Auckland are going to love it, just as much as they already do in Sydney.” Cochrane said. 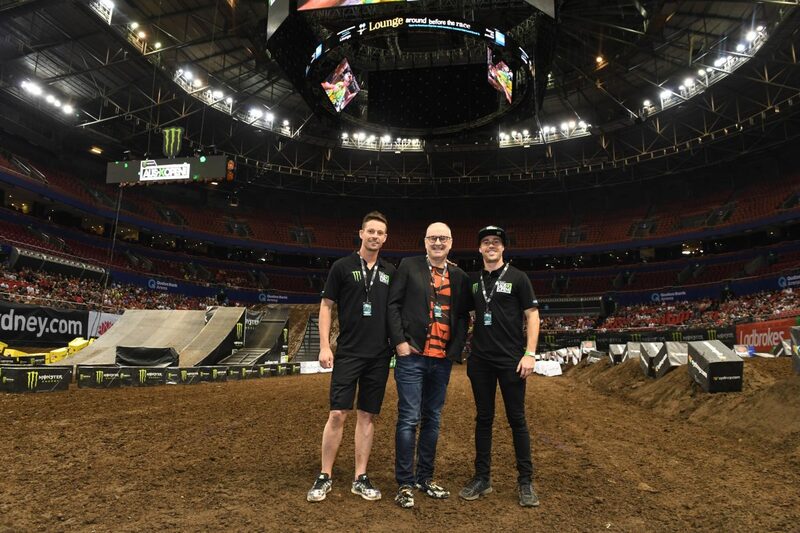 “Securing the title partnerships of both the S-X Open Auckland and AUS-X Open Sydney is a natural move for us as we continue to expand our involvement in Supercross across Oceania,” Ryder said.